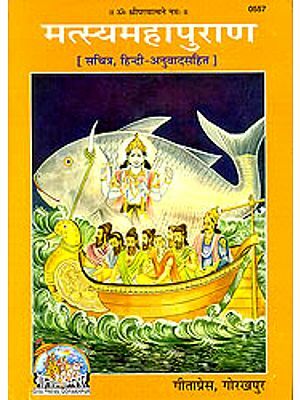 The Matsya Purana earns its title from the fish incarnation of Visnu, the other nine being Kurma, Varaha, Narasimha, Vamana, Bhargava Parasurama, Rama, Krsna, Buddha and Kalki. 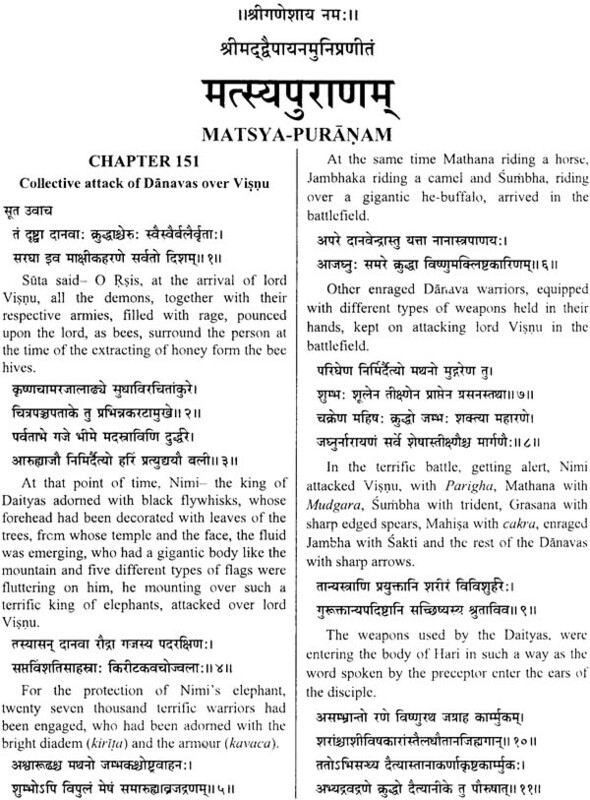 The Matsya Purana is not all based totally on the life story of Matsya, but it deals with various other subjects, though in some of the chapters Matsya himself is the speaker. 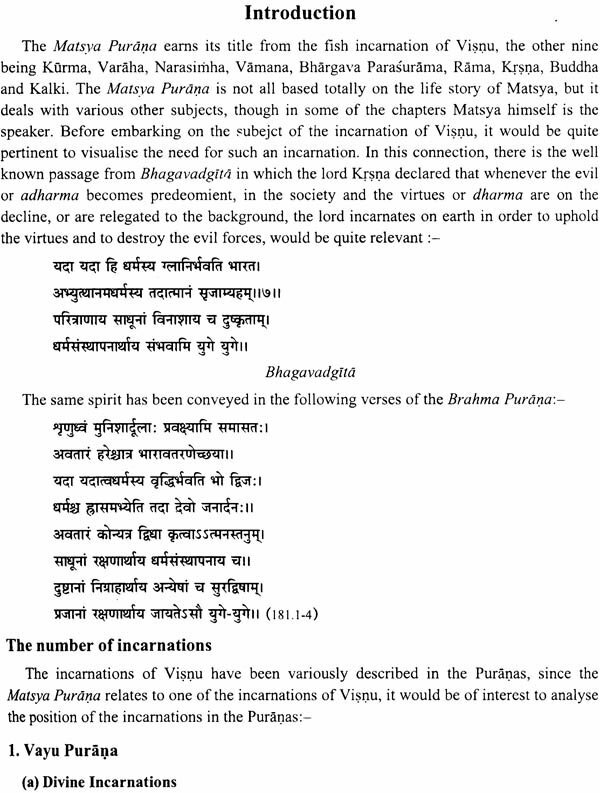 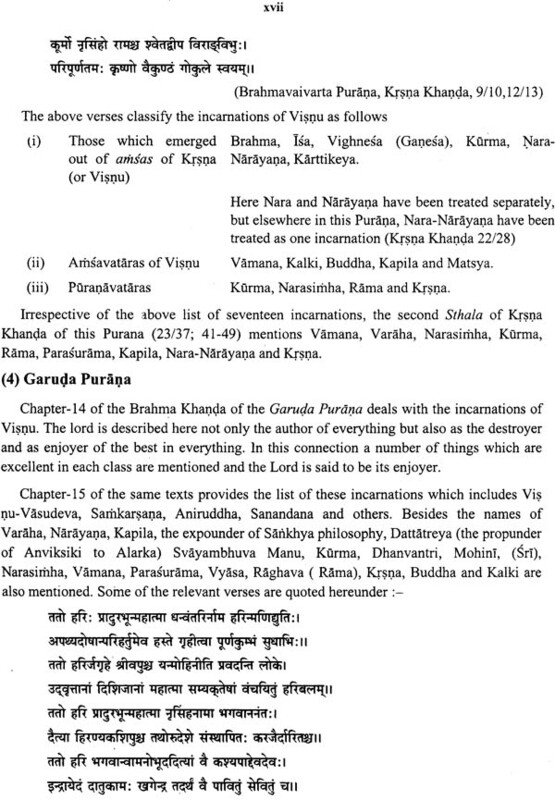 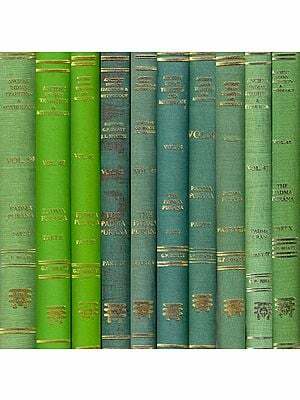 Matsya Purana contains 291 chapters in total. 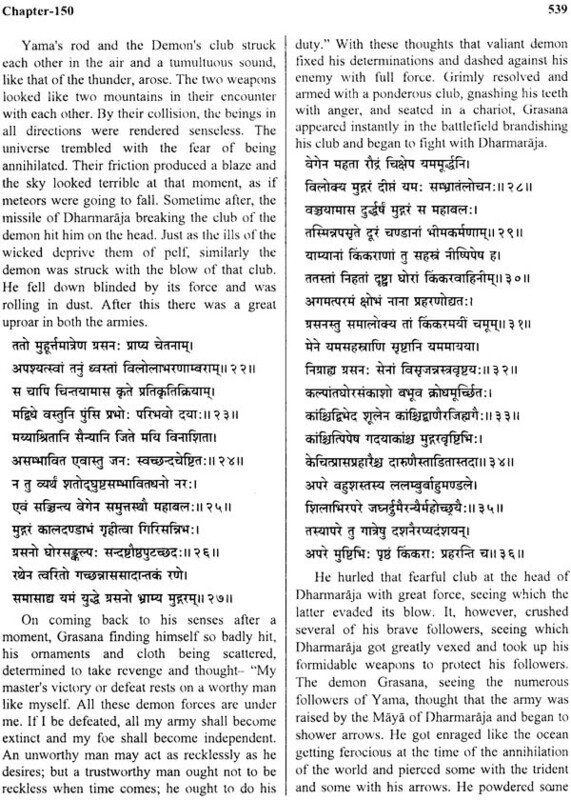 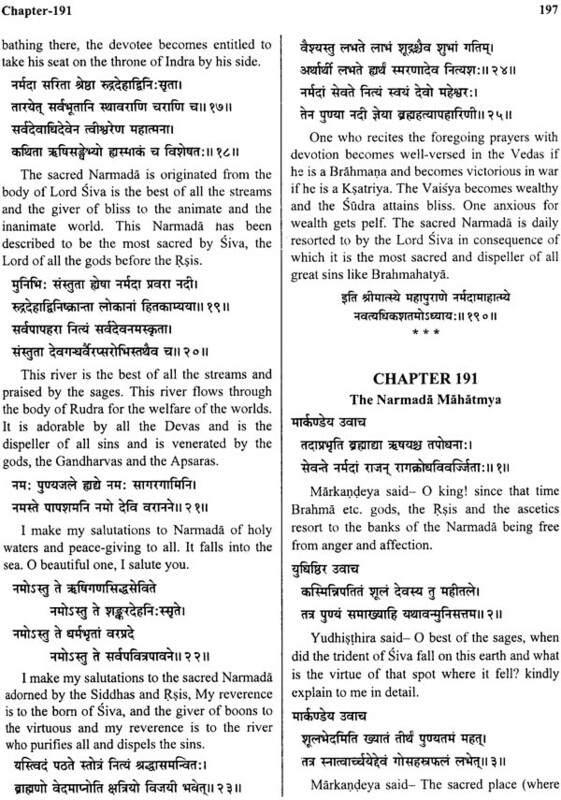 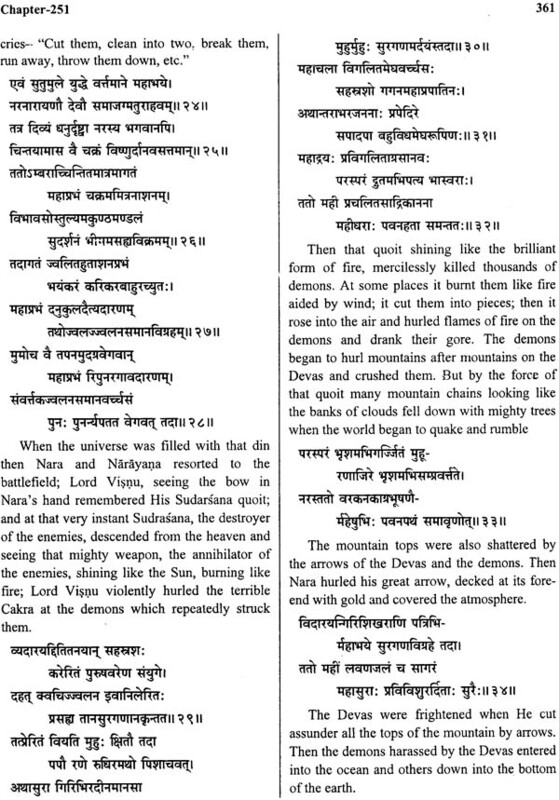 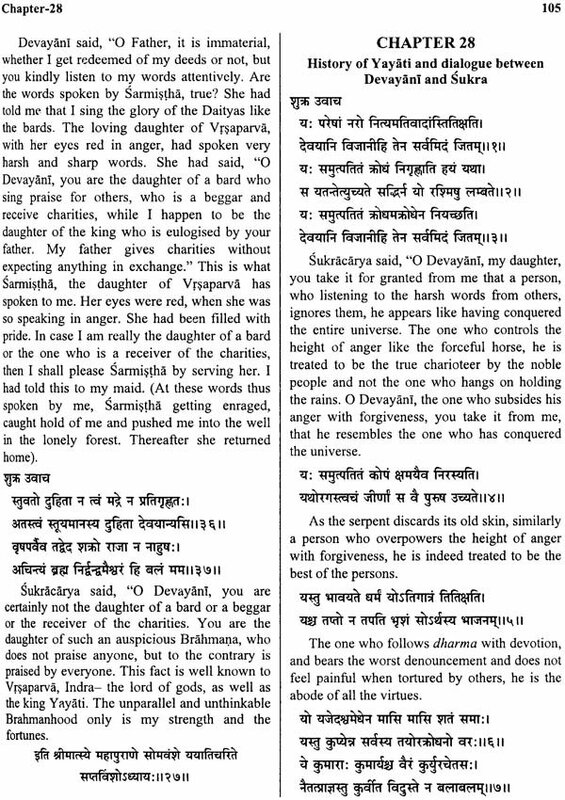 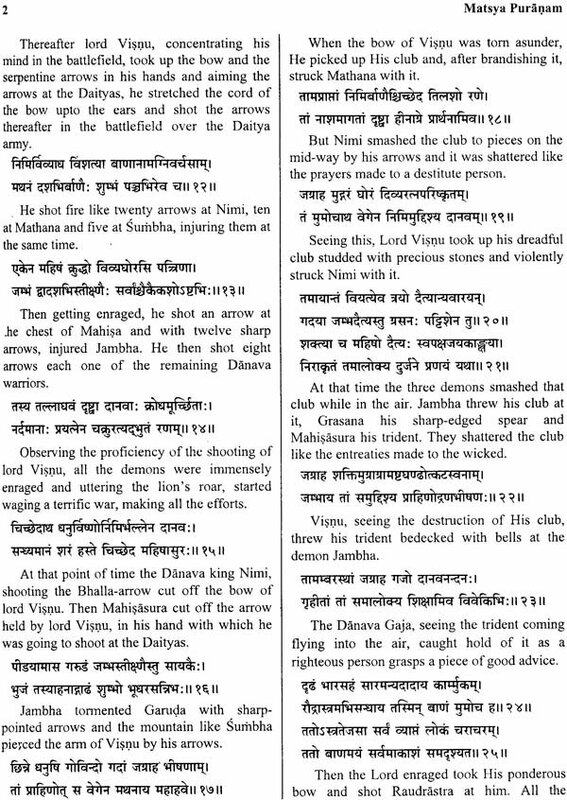 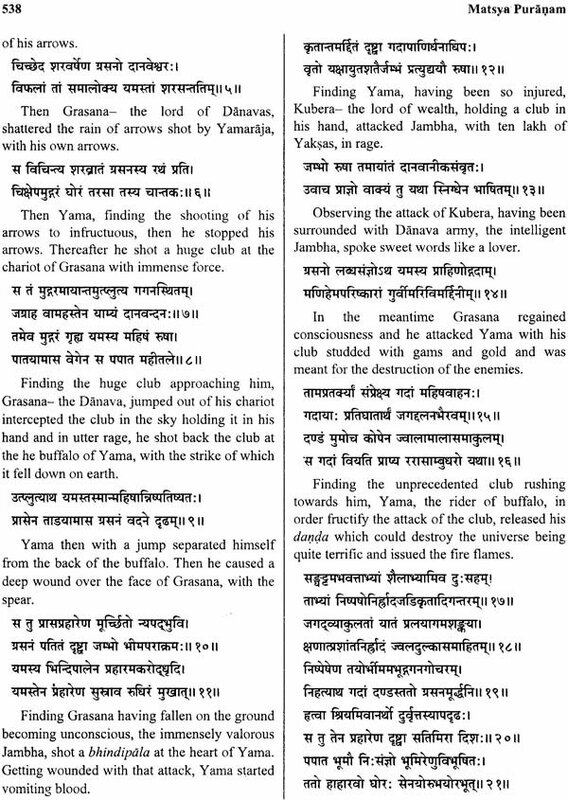 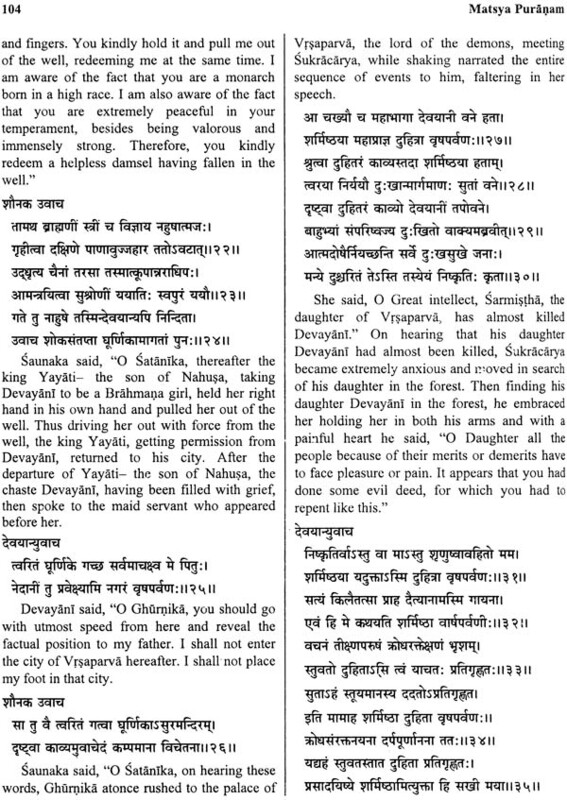 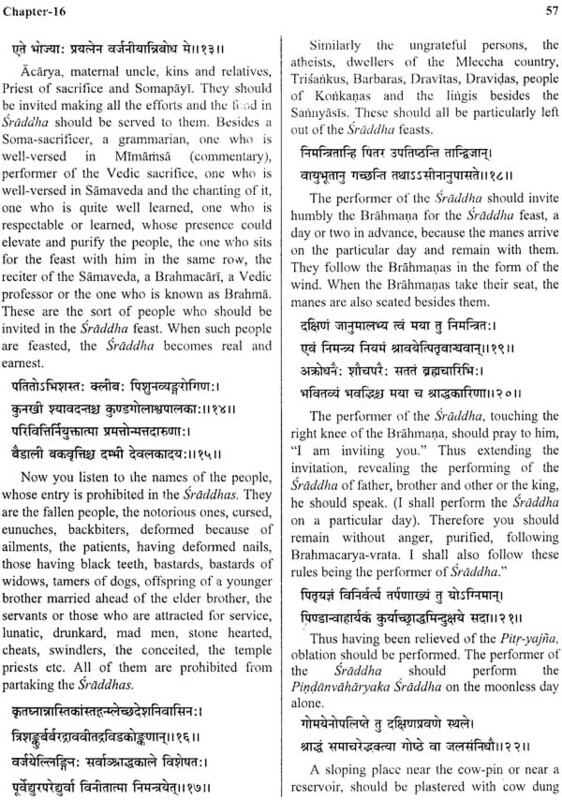 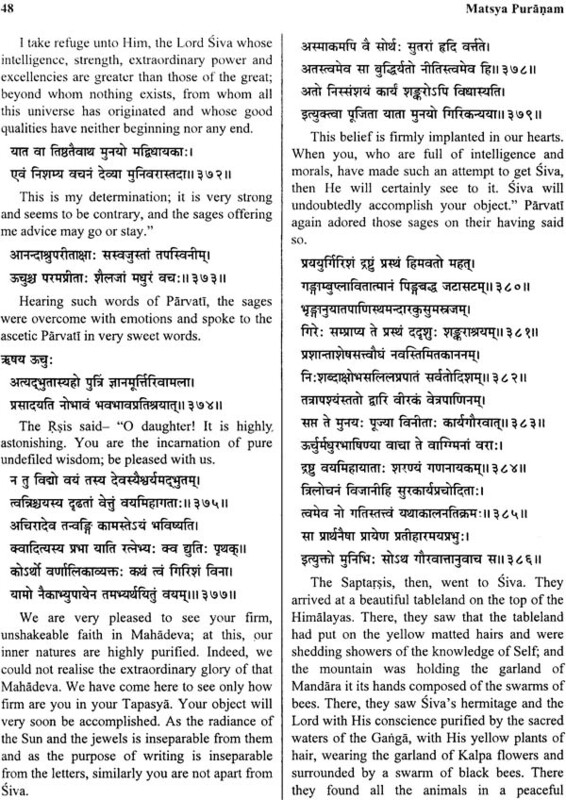 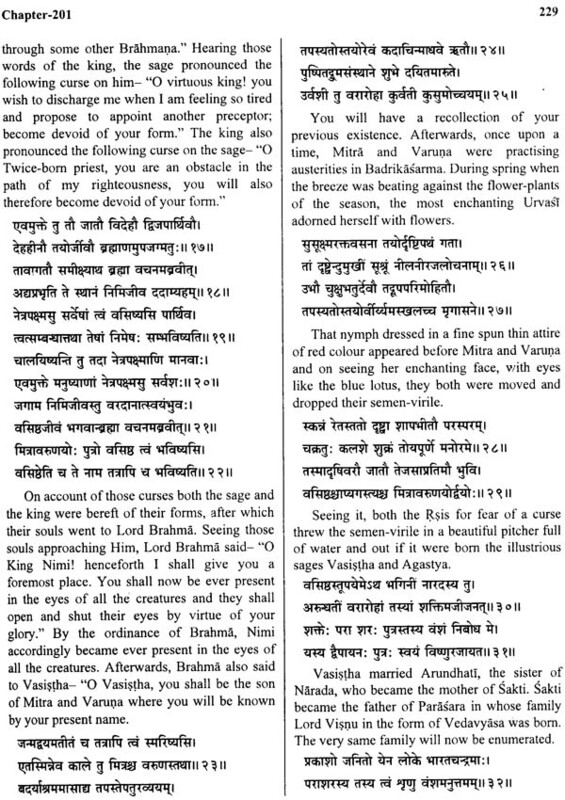 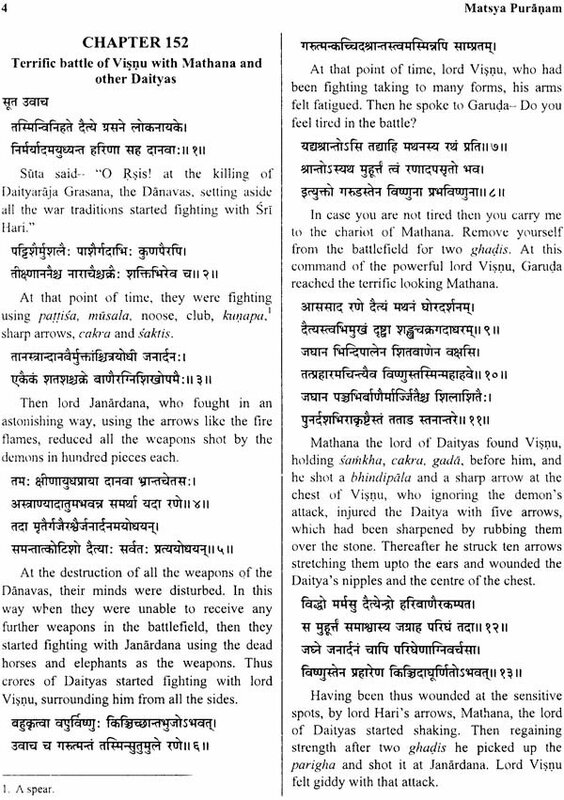 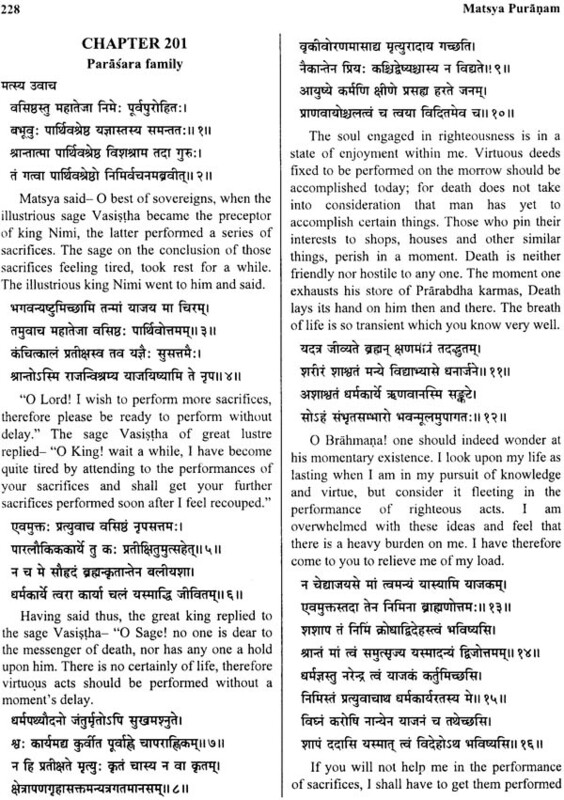 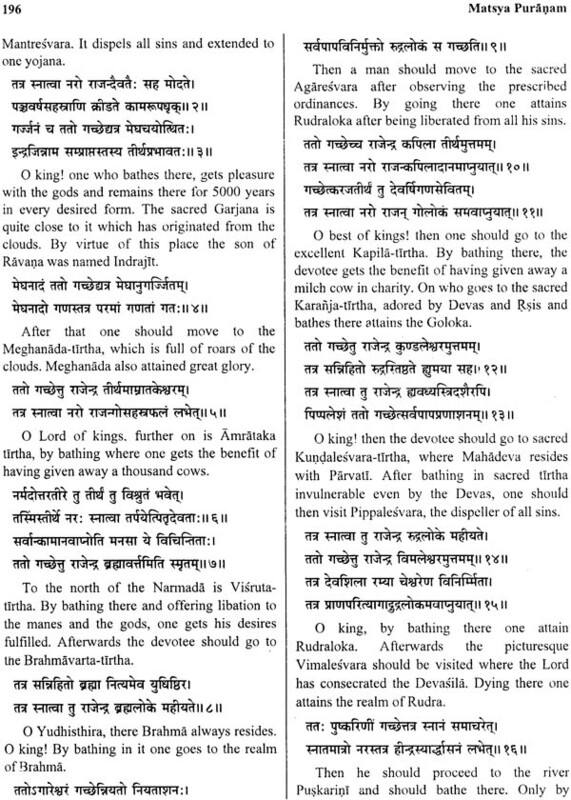 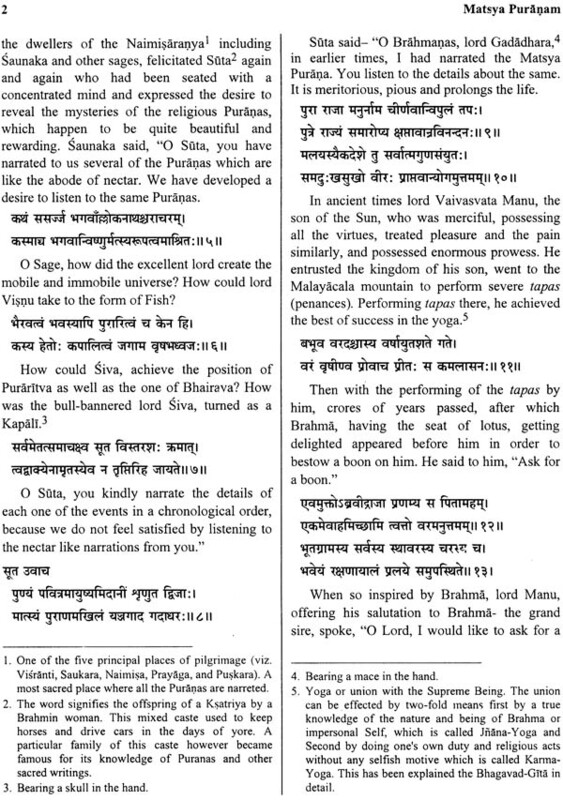 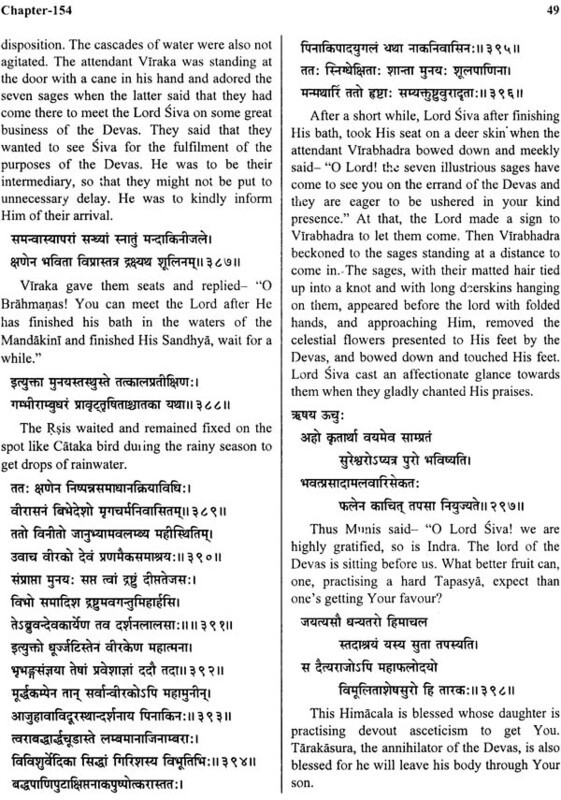 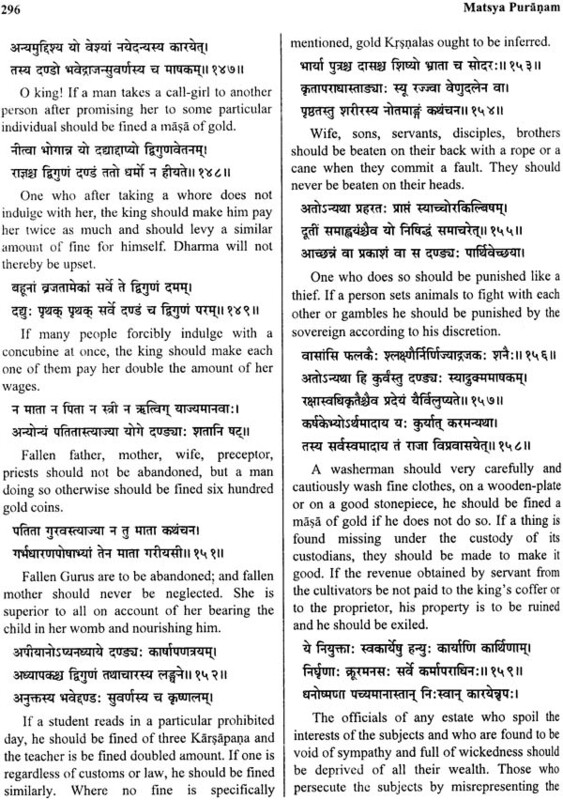 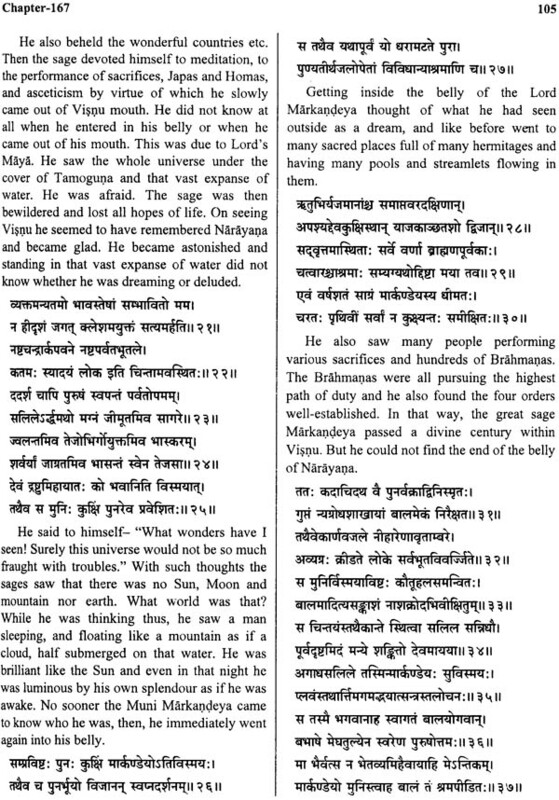 First among all it describes the dialogues between Manu and the Lord, known as Manusamvada and deals with the following subjects in successive order, viz- the history of Brahmanda, the Sariraka Samkhya as explained by Brahma, the origin of the Devas and Asuras, as well as Maruts, the observance of Madanadvadasi vrata, the ways of the worship of the Lokapalas, the description of the Manvantaras, the history of king Vena, the birth of the Sun and Vaivasvata and the meeting with Budha. 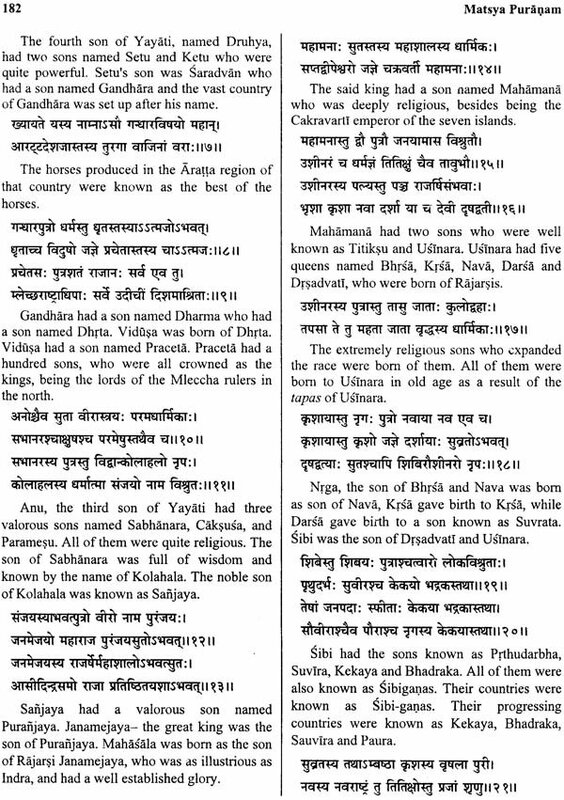 Then it deals with the families of the manes, the times of performing Sraddha, Pitrtirtha Pravasa, the birth of the moon, the history of Yavati, the glory of Svamikartika, the history of the Vrsni and Yadava houses. 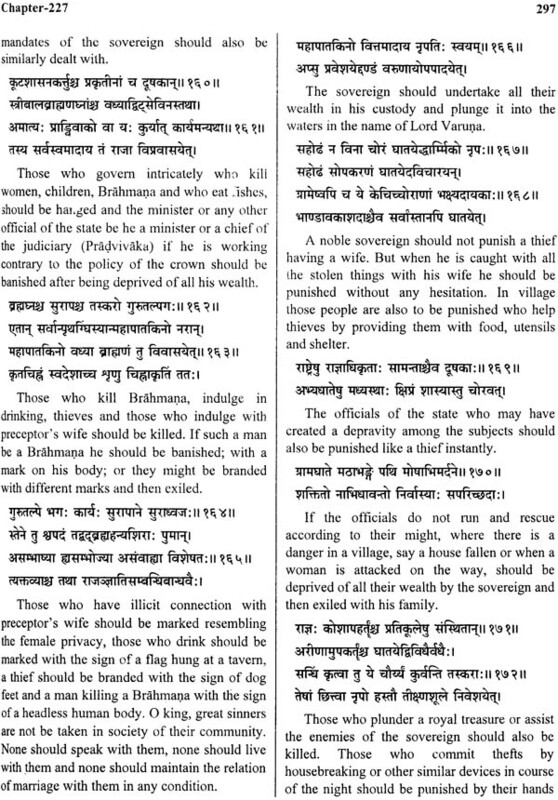 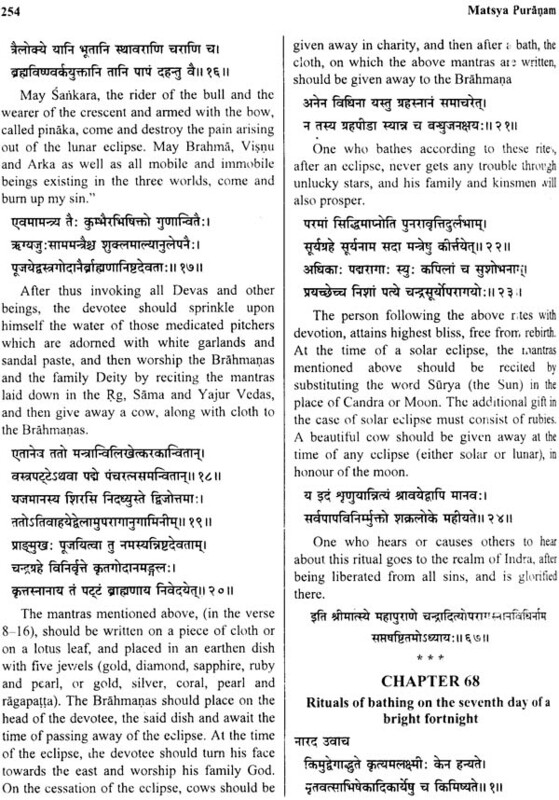 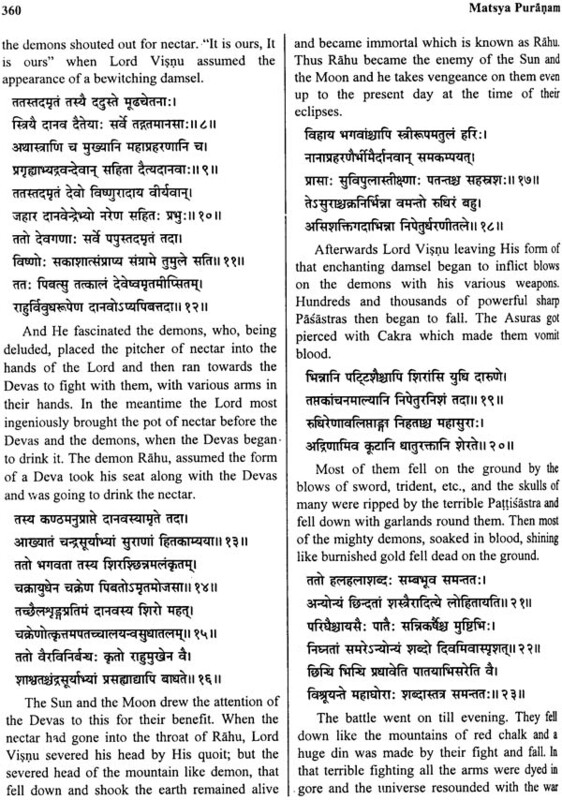 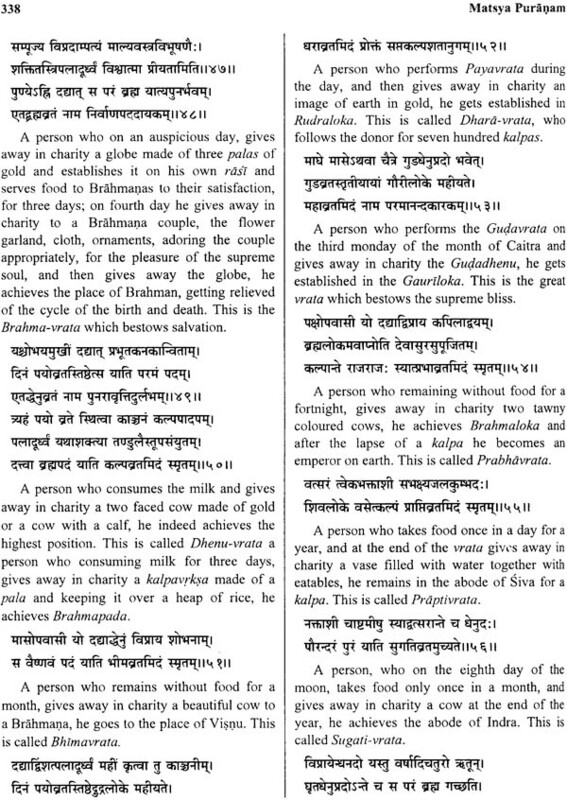 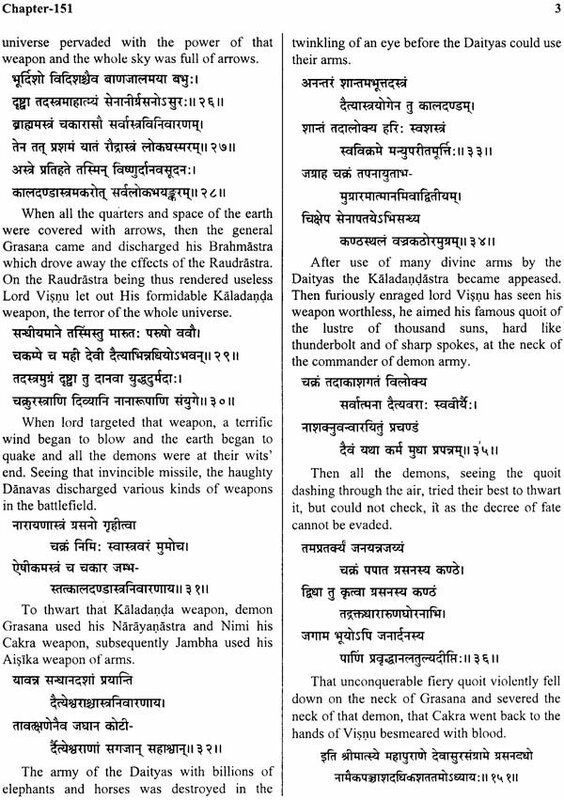 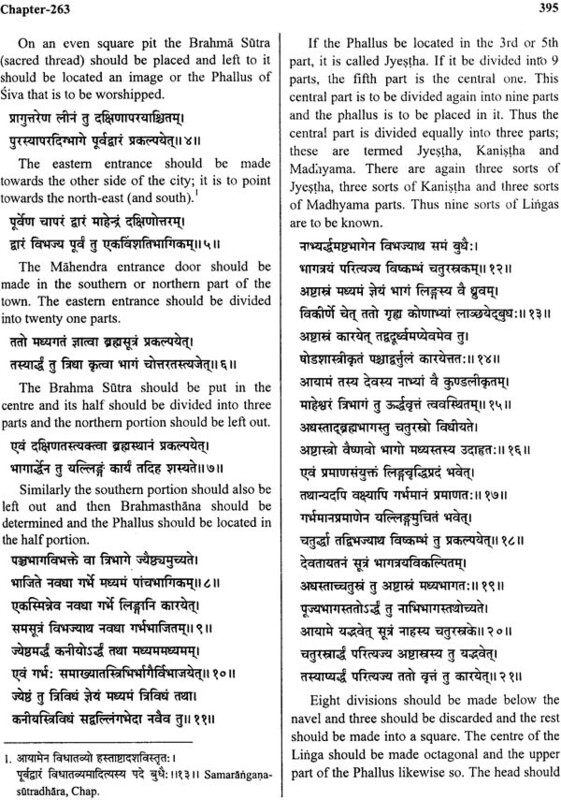 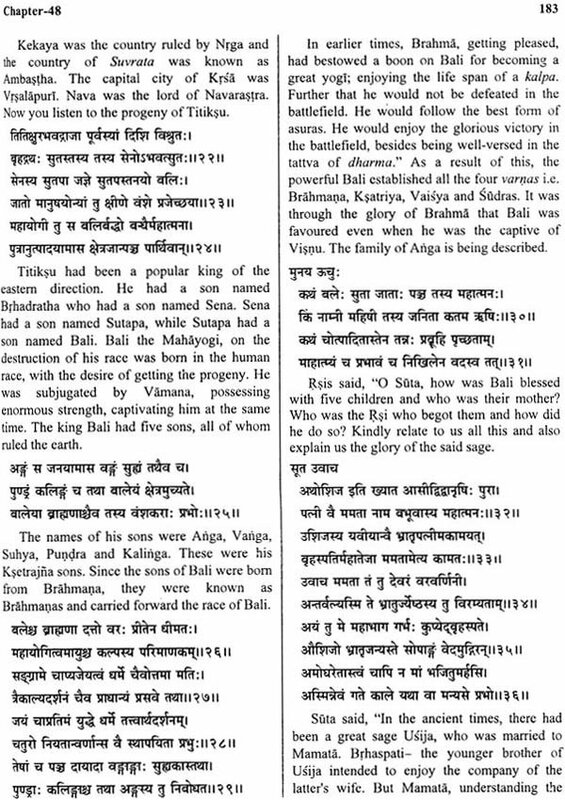 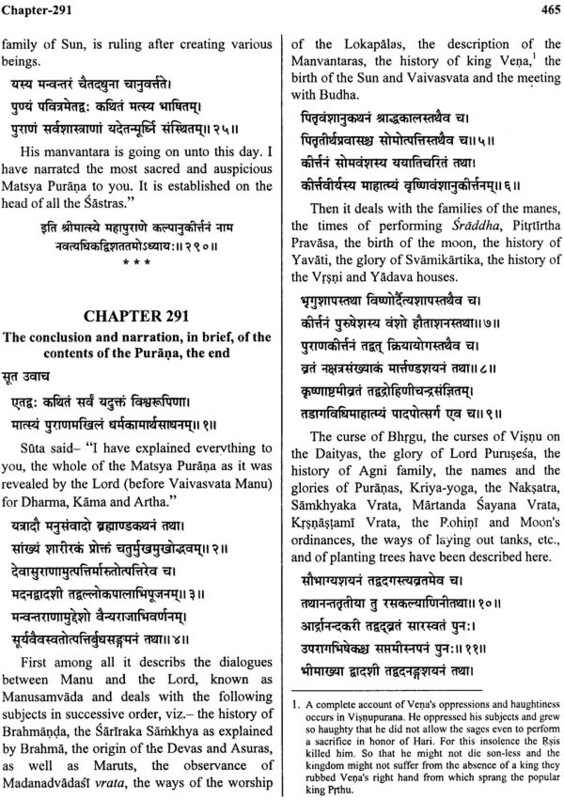 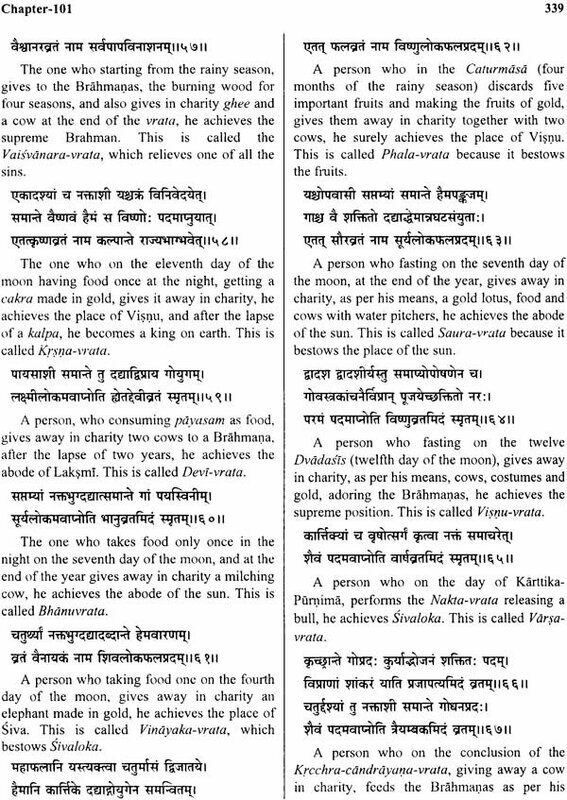 Then it describes various ordinances, glory of various tirthas and rivers, the movement of Sun and Moon and their relative positions, the churning of the ocean, worship of the Devas, the characteristics of palaces, pandals and housebuilding, the forms of the temples and pandals, the history of Puru dynasty, the narration of the coming sovereigns, the description of the sixteen gifts such as Tuladana, etc., the names of the Kalpas etc. 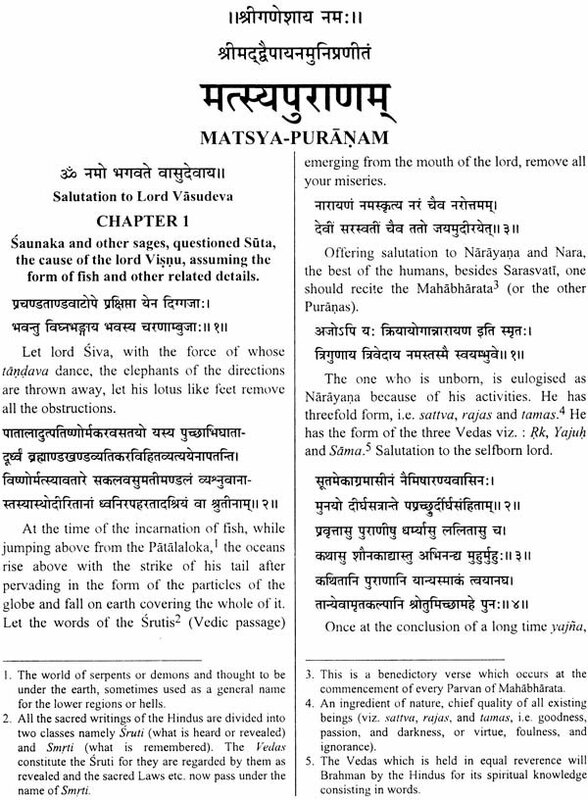 The present edition of Matsya Purana is a complete book in 2 volumes that includes Sanskrit text, English translation with Notes, an exhaustive Introduction and complete Index of Verses. 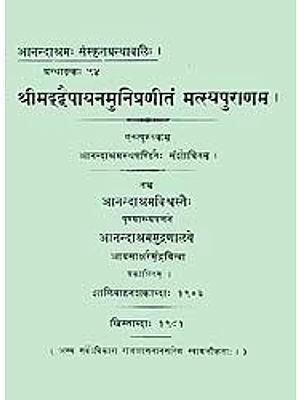 We hope that this book will be very useful not only for the general readers who have interest in ancient Indian literatures, but also for the scholars.